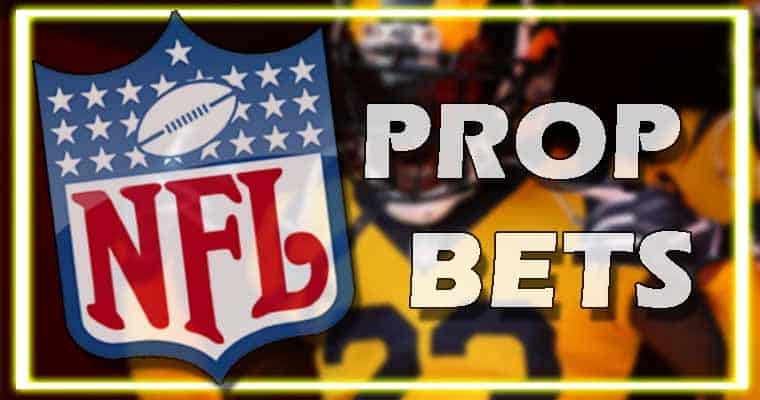 Each year, there are hundreds of prop bets to sift through for the final NFL game of the season, and the Super Bowl 53 matchup between the New England Patriots and Los Angeles Rams in 2019 is no different. We’ve put together our list of the “safest” bets for this year’s big game. Keep in mind that no bet is safe but each of the props we’ve selected either has good value or are extremely likely to occur without the need to risk too much. The odds for each of the Super Bowl 53 prop bets on this list and hundreds of other prop specials can be found at BetOnline. And if you need to know how to place a bet on Super Bowl 53, we’ve included our “How to Bet on Super Bowl 53 in 53 seconds” tutorial to help you get in on the action. 10. WIll Brady or Goff win the Super Bowl LIII MVP award? Why it’s a good bet ($100 to win $170): The Super Bowl MVP has been awarded to a quarterback in 29 out of 52 games, or roughly 56% of the time, so it goes to another position 44% of all Super Bowls. The No (+170) converts to 37% which means we’re getting a 7% edge here. Keep in mind: In Brady’s 8 appearances, the MVP has gone to the QB in 7 of those but this game has too much talent in it to completely rule out a sleeper pick. 9. Will Bill Belichick retire before week 1 of the 2019 season? Why it’s a good bet ($300 to win $100): This line is one of the few that doesn’t have a good payout, but it’s hard to imagine Belichick calling it quits unless there is a health problem we don’t know about. Why it’s a good bet ($100 to win $100): Both Belichick and McVay like to mix it up, so when you only need one other player besides Brady or Goff to throw a pass, it makes this a good value. 7. Will Nickell Robey-Coleman be called for Pass Interference during the game? Why it’s a good bet ($100 to win $200): Expect Brady to target Robey-Coleman early and often after his “age has taken a toll” comment during media week, which means more chances Robey-Coleman gets called for PI. 6. Will the LAR/NO Pass Interference Call be shown during the game? Why it’s a good bet ($100 to win $150): It was arguably the biggest non-call in NFL, so you can bet on that getting replayed at least once, especially if Nickell Robey-Coleman gets called for PI. 5. Will a Roughing the Passer Penalty be called during the game? Why it’s a good bet ($100 to win $130): In the combined 36 games both teams have played, there have been 15 (Rams 8, Patriots 7) roughing the passer penalties from their defense and that they’ve benefited on offense. There will likely be 70 to 80 dropbacks from quarterbacks so having just one flag for roughing the passer is pretty likely. 4. (Tie) Will the broadcast mention Belichick and McVay Age Gap? Why it’s a good bet ($190 to win $100): The biggest storyline for Super Bowl LIII is the possible “changing of the guard” in the NFL, so this is going to get brought up early and often. 4. (Tie) Will the broadcast mention Brady and Goff Age Gap? Why it’s a good bet ($175 to win $100): Just like the two head coaches, the two quarterbacks also have the biggest age gap between two Super Bowl quarterbacks, so it’s highly unlikely the broadcast does not reference it. 3. Will “Greatest Show on Turf” be said during the live broadcast? Why it’s a good bet ($100 to win $170): Commentators love to bring up the past, and considering Brady is playing against the franchise he beat for his first Super Bowl title and that was the “Greatest Show on Turf,” it actually surprised us when we saw the “Yes” has more value. 2. Will Belichick be referred to as “Genius” during the broadcast? Why it’s a good bet ($100 to win $120): Because Belichick is a football genius, and there no doubt Nantz or Romo won’t stroke his ego just once. 1. Will ‘Greatest of All Time’ be mentioned in the broadcast? Why it’s a good bet ($120 to win $100): It’s hard to imagine the broadcast not saying “GOAT” when referring to either Brady or Belichick at some point. This bet would be tricky if it was an over/under, but it just has to be said once so you can take this bet to the bank.